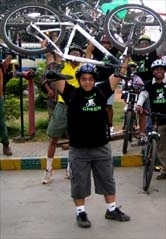 GoGreen Hornbill Cycle Rally 2013 " See Green See Life-Save the Hornbills" - GGI-Group size: 4000+ Professionals, Increasing on day to day basis, Come & join us 2 serve Mother Nature. 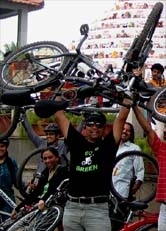 GoGreen Hornbill Cycle Rally 2013 " See Green See Life-Save the Hornbills"
We are glad to announce GoGreen supporting Alaphra Group who are organizing the 2nd edition of the Hornbill Cycle Rally on December 8, 2013. The 2nd edition is aptly titled the ‘See Green See Life-Save the Hornbills’ to promote green living and cycling as a professional sport. The 1st edition was titled ‘ride to recharge‘. The rally will start at 8 a.m from Naga Heritage Village, Kisama where the main celebrations of the Hornbill Festival takes place. The Hornbill Cycle Rally 2013 is sponsored by the Dept. of Tourism, Government of Nagaland and supported by the Nagaland Cycling Association (NCA). Post event celebrations include a dinner party, lucky draw, and distribution of free cycling T-shirts. 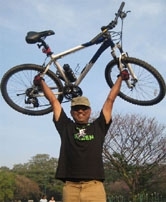 Check this video from the 1st Hornbill Cycle Rally 2012. The 2nd Annual Hornbill Cycle Rally ‘See Green See Life-Save the Hornbills’ – Cycling event is an adventure sport aimed to promote Go Green initiative, tourism and introduce cycling as a professional sport in Nagaland. The Hornbill Cycle Rally 2013 will be held on 8th December 2013 and the rally will be flagged off at 8:00 am from Kisama Heritage Village. With this year’s theme ‘See Green See Life – Save the Hornbills’ it will also create awareness and draw attention to the importance of environmental Conservation, a healthy lifestyle and energy conservation. The participants would become the brand ambassadors for the present and the future generation, who are spreading the message. So, we hope that this message would become a part in the normal routine of the people of Nagaland. Hornbill Cycle Rally is nonprofit event, organized strictly to create and support environmental awareness and conservation. By supporting this rally you can highlight community responsibility, or corporate social responsibility, thus taking an active role in protecting the environment and encouraging others to do the same. This ride is fully supported. Organizers will provide SAG vehicles, rest stops along the way with food, water, snacks, and restrooms. Organizers will provide free bike maintenance. There will be Safety Cars to clear the way for the riders and an ambulance with Medics for emergency. This rally is not a race in any format. It is mandatory that all riders wear a safety approved cycling helmet. Routes: Enjoying Nature on Two Wheels. 14 km Route: This route will cover a short distance 14 km from Kisama to Old DC Bungalow, Kohima. 30 km Route: This beautiful course begins at the Kisama Heritage Village and traverses the scenic mountain trail covering miles of Valleys, fields, rivers, and forests. Bike enthusiasts will enjoy this adventure trip from Kisama – Kohima- Secretariat-High Court – IG Stadium. Hornbill Festival is the premiere festival of The festival is a week long cultural extravaganza celebratedevery year from Dec 1-7. Hornbill Festival provides a common platform for all the Naga tribes to come together under one roof and showcase their culture and tradition. It is hosted at the Naga Heritage Village, Kisama. What actually started as a cultural and traditional conglomeration of the Naga tribes has slowly emerged to be one of the biggest cultural festivals in the world. 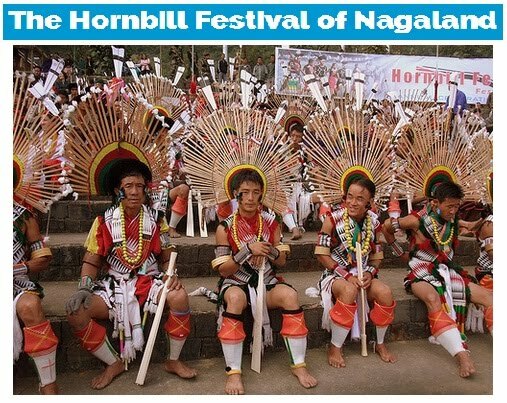 Hornbill Festival has evolved to a multicultural fiesta with cultural troupes of not only Nagaland but also the neighboring northeastern states of India, eastern European countries, and South East Asian countries performing and highlighting their cultural plight during this week long festival. Apart from the cultural events, other events like rock fest, adventure car rally, literature fest & Cycling Rally etc are organized during the festival.